Rosie Garner is a lifelong resident of Huntsville. In Madison County, She raised her only daughter, Marsha, who has become an amazing woman and currently lives in Florida. Ms. Rosie has remained in Huntsville due to her love of her church, Mt. Olive Missionary Baptist, and its congregation. She serves as Secretary of the Ushers Board, works with older members of the congregation, and serves with the church’s youth. Ms. Rosie truly has a servant’s heart. She has worked for First United Methodist Church since 1993, and is a fixture, always jumping in to do what needs to be done. Her love of God and Jesus can be seen through her actions and dedication towards His people. In 2015 Ms. Rosie came to Habitat for Humanity of Madison County. All her adult life she has lived in public housing, and she was more than ready for a change. 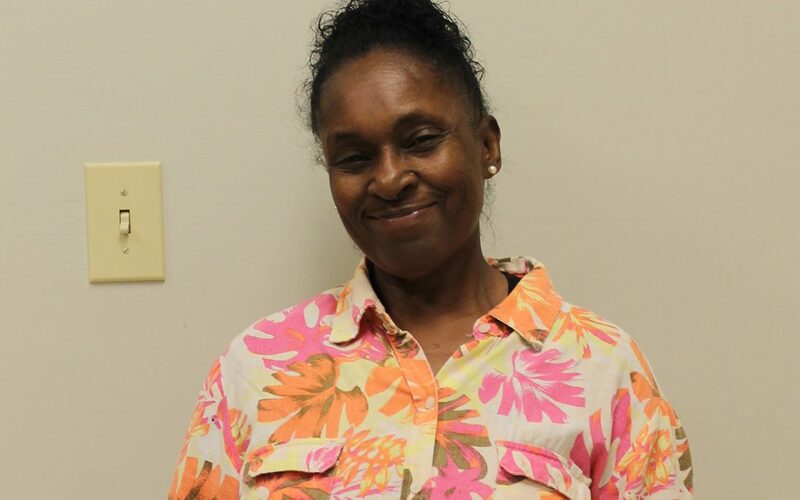 In her application she stated one reason she was applying was “because I never stayed in a house before.” Since being accepted into the Habitat Program, she has taken many of the younger Partner Families under her wing, guiding them and always encouraging them forward. Today, she has completed 250 of the 350 sweat equity hours, and almost all of her 55 hours of homeownership and financial literacy classes. This Spring, with the help of our community and a number of churches including her employer, First United Methodist Church, Ms. Rosie’s home will start to take shape. She is looking forward to having a space to call her own, where she can continue to provide fellowship to a community she has always called home.